I have "known" QsySue for about a decade. I say that with quotation marks because we have never met in person, but have talked extensively online. I suppose that is the way of the world these days and online friends can be just as normal as "real life" friends. We first knew each other from a music forum we both frequented and at times both of us would share photos with others on that forum. We eventually became contacts on Flickr. 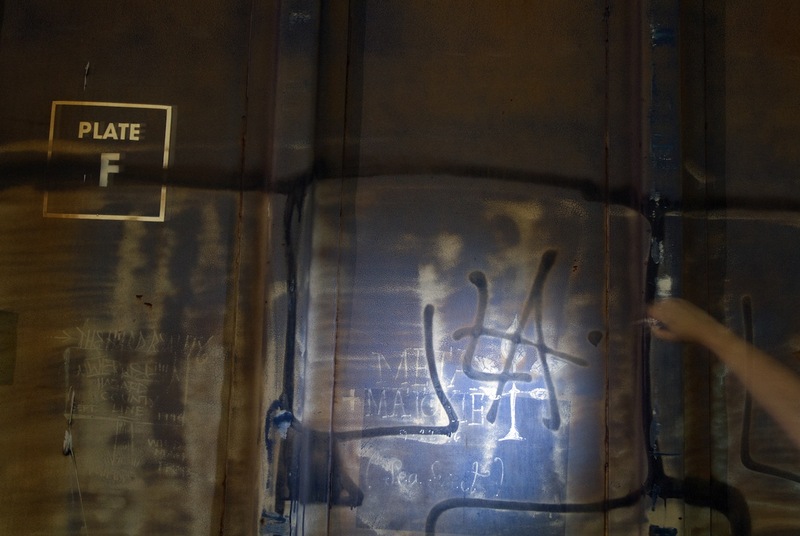 She has an insatiable hunger for photographing train graffiti and this passion drove her to create her Strange Pulse zine. She was nice enough to take time and answer some questions and sent me a few photos to share. Bridge Burner: When and why did you get into benching? QsySue: My history of shooting graffiti is pretty boring. In the mid 00s I moved to Orange County, CA, where the streets are wide and flat, perfect for cruising around on a bicycle. I would ride my bike around with some cameras in my bike basket, but there was never anything interesting to take pictures of—just concrete walls. Then I started noticing all the stickers on light poles. I started recognizing different stickers everywhere I went, and I started taking pictures of them. This was probably '08? It all snowballed from there. The graffiti all around Los Angeles is hard to miss. In Orange County it gets buffed quickly. But in LA it's all over the place. I would go into LA to take pictures often, and I started snapping pics of graff and hunting it down. 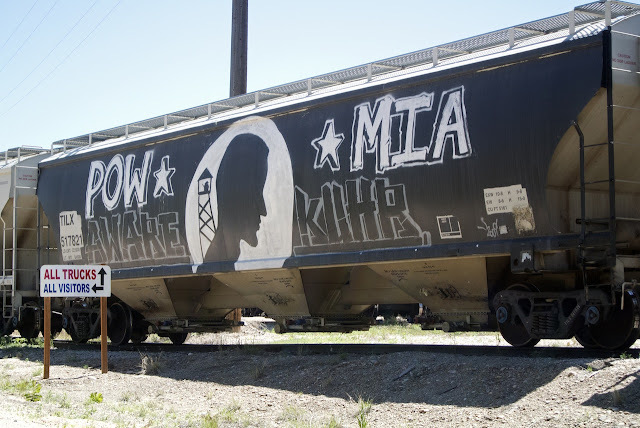 Freight-wise, I knew a few spots where train cars would get parked in Orange County, but I didn't really get into trains until I start learning more about graffiti, and I saw bits and pieces online of a documentary someone was in the process of making about Colossus of Roads. 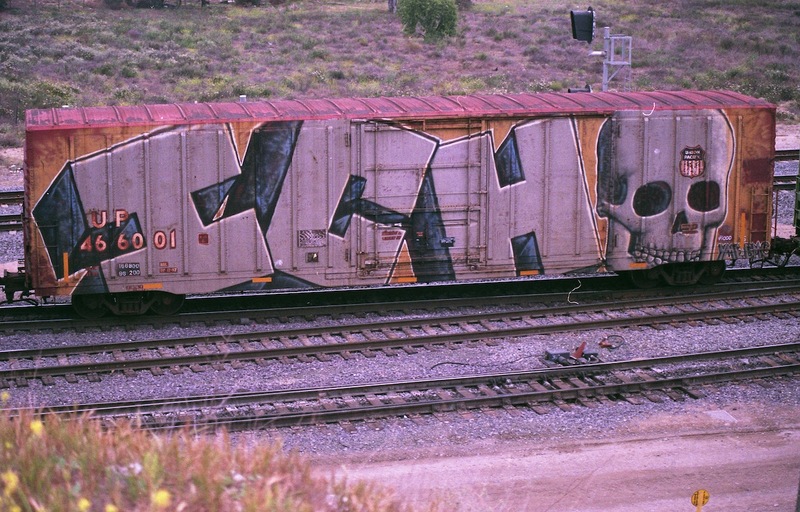 That got me hooked on the mystery of the boxcar art culture. I went to a train spot with my husband and we tripped out over seeing Colossus of Roads on the cars parked there. Then I moved to a town with a major train yard. Benching heaven, as far as sitting and watching trains go by. I miss living there a lot. Now I'm in southern Utah, where the nearest tracks are an hour away, and those are just a small industrial sites with a few hoppers. BB: What are your go to camera(s) and lens(es)? Q: I shoot mostly film, except for when I'm benching trains. I have a little Nikon V1 that I use for benching. 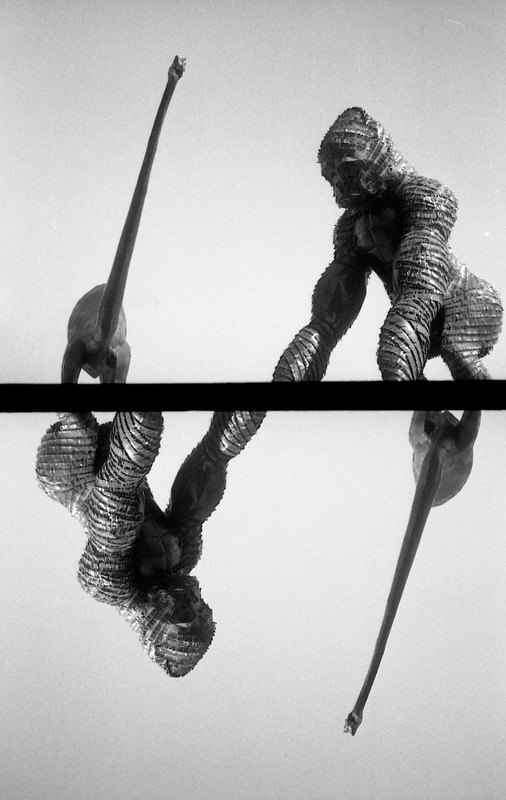 I was using film for benching for awhile, but I ended up with 50+ rolls of film that needed developing, so I decided to switch to digital. I'd love to have a big fancy DSLR and nice lenses, but I don't want to spend the money on it. Plus they tend to be heavy cameras, and I like to use stuff that is small and light, usually. I need a better zoom lens for the V1, right now I only have the kit lens. For non-benching photography, I use all sorts of different film cameras. I haven't counted, but I probably own close to 200 cameras. Most are junk, but that's OK by me. 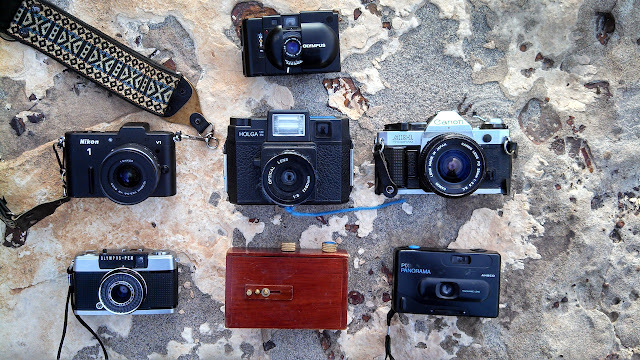 I love toy cameras, rangefinders, SLRs, TLRs—I love any and all cameras. The camera I use the most is a Canon AE-1 35mm SLR with a 28mm lens. My other most-used cameras are my Holga 120, Zero Image 2000 pinhole, Ansco Panorama Pix (a toy 35mm that I flipped the lens on), and my Olympus XA (which I love to use for redscale film). I go through phases of using different cameras. I love cameras that have a quirkiness to them. Part of the fun for me is matching the quirk of a camera to the subject matter. Lately I haven't been using the Holga as much—mainly because 120 film is getting harder for me to find, so I'm kind of hoarding it—and I've been using my Olympus Pen half frame a lot. I love how you have to think completely differently with a half-frame camera. BB: Who is your favorite writer and streaker to catch? Q: I like anyone who stands out as unique in some way. But I do have a few favorite writers—I really love IMPEACH and AWARE, because they're addressing social and political issues—on train cars! And in really creative ways. EL MAC is mind blowing. I love SNAFU because of his scripty letters. And of course the heavy hitters, like ICH and MECRO and KERSE...I could go on and on about all the impressive writers...there are so many. As for monikers...I'm always stoked to see a Colossus, Rambler...any of the older monikers that are getting rarer to see these days. The other day I saw my first Matokie Slaughter, which was a big thrill for me. It was on a rusty faded old car, not visible unless you were right up next to it. There was not really any graffiti on the car to speak of, and I was worried someone might paint over it. One of my fave streakers is EVADES. I just see that guy in the most random places. And his style stands out—it's instantly recognizable. I just want to see him write the letters in person. I don't think that about any other writer—there's just something about his style that makes me want to see it come out of his fingers! Does that sound creepy? BB: How did your Strange Pulse zine come about? Q: I was bored, and it gave me something to do. It also justifies my obsession with graffiti and benching. Now I'm not just benching because I'm obsessive compulsive—now I'm doing it for my zine! When I did the first issue, I didn't realize how big it was going to be. I don't mean big as in popular, I mean big as in how many pages. I just wanted to pack it full of stuff so that it would be worthwhile for people to read it. When I finally printed it all out and went to staple it together, I found out it was too thick to be stapled. So I had to sew it together with string. (I had actually wanted to sew it together anyway, because I'm weird like that.) And then once I'd made the first issue so large, I couldn't very well skimp on the second. The second ended up being even thicker. 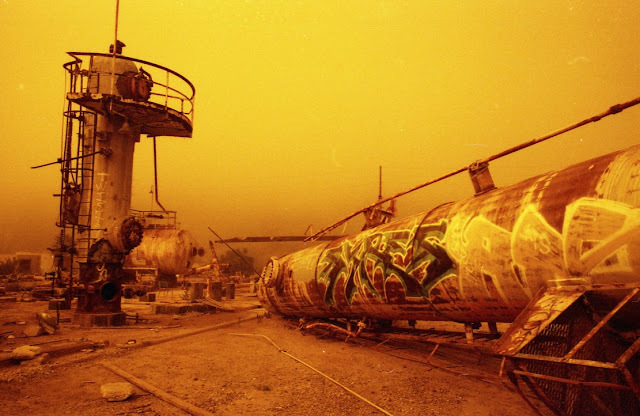 The third issue is almost complete now, I'm hoping to have it done and available this month, but I'm traveling, so it may not be ready until Sept.
BB: Besides trains/graffiti, what other subjects do you like to shoot? Q: For me, photography is about capturing time. I'm very aware of the fleeting nature of time. Partially because I've had close family members die at young ages, and also because I'm diabetic and have almost died myself a couple times. I'm very aware of my own mortality and the passage of time. I love that photography can capture memories and freeze time. I like to shoot all kinds of subjects—except for people. I'm not really a people person, I hate taking portraits. I like taking candids of people, when they aren't aware—so I enjoy street photography. I love wandering around a city taking pictures of alleys and grime (and graffiti). 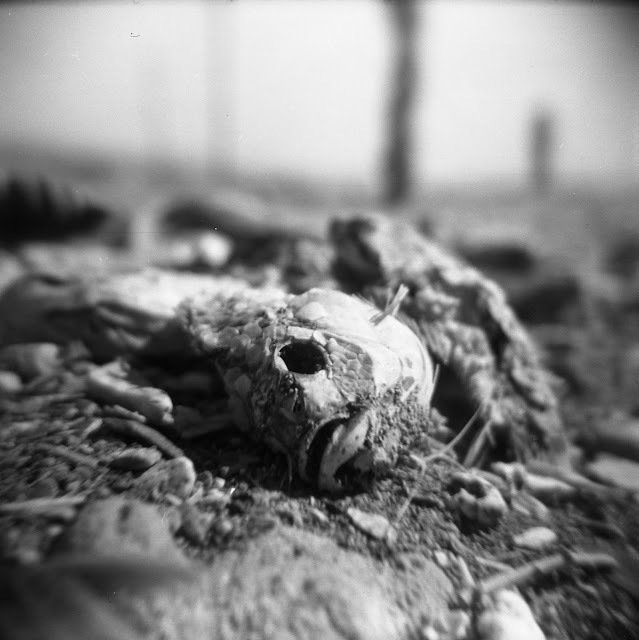 I love decay, which is one reason I absolutely love the California desert. Abandoned places—that have been destroyed by neglect and the passage of time. The temporary nature of graffiti is one reason I love it so much. It's not going to last—but why let that stop you from creating it? And then when you find a tag, moniker, or piece that is really old, it's impressive. It always comes back to the passing of time and how well things have held up or how much they have decayed, for me. BB: In your experience, which state has the best spots to bench? Just kidding. My benching excursions have been limited to the western states so far—no further east than Utah. For me, I enjoy benching most when I can get up close to the train cars, walk around them, shoot monikers, frame the shots any way I want to....and places where you can do that (safely) are kind of few and far between. I don't want to name any specific locations because I don't want to blow them up. California has some great benching spots, and it also has a lot of dedicated people benching them. Idaho and Utah have some good benching spots, but it gets really, really cold there in the winter. The hottest weather I've benched in was 100+ degrees in central Cali. The coldest was -4 degrees in Idaho. I prefer the heat. If you want to sit and watch trains go by, Kingman, AZ is good for that. I drove 3 hours to get there one day, and trains went by an average of about every 15-20 minutes. I love little desert railroad towns. BB: Do you see yourself ever getting bored with benching? Q: I'm old enough that I've seen my interest in various activities wane and new ones take their place over the years, so I know it's possible. But I can't imagine ever not finding benching interesting. 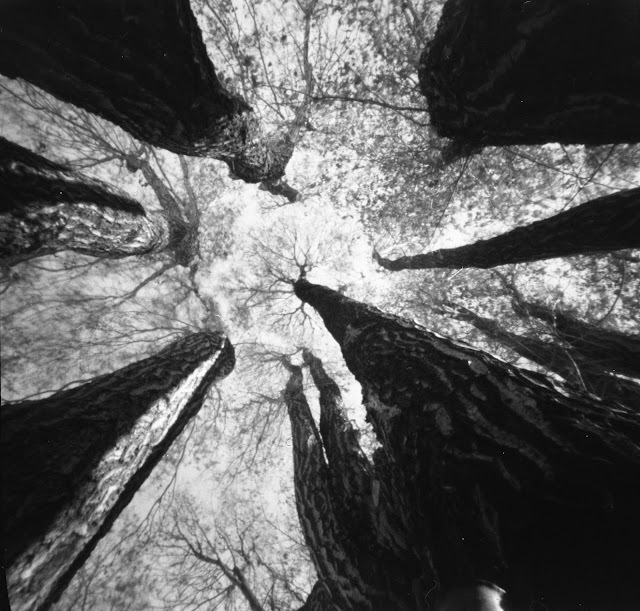 I've always been into photography, ever since I was a teenager and I set up an antique darkroom in my parents' nightmarish cellar, and benching for me is a subset of my larger photography obsession. What keeps benching interesting is the unknown. What will you see this time? Will there be a whole car? An end to end? Some rare and ancient moniker? An El Mac? Well this side is boring, but what's on the other side? It's always a quest. And it pays off just often enough that you don't give up on it. BB: What was the last album you bought? Q: Hmm. I honestly can't remember. How about last album I listened to? Internal by Die Kreuzen. Does anyone know this band? Criminally underrated and under-appreciated, in my opinion.